The labor and birth process can incite anxiety and fear in moms to be. Even if you have already had children, preparing your body and mind for delivery is no easy task. That's why you should consider a childbirth education class. There are many options available and factors to consider when making the decision. Discover what class is right for you in our complete childbirth education guide below. What is a childbirth class? A childbirth education class mentally and physically prepares you for the delivery process and allows your partner to be involved. Classes can range from a one-day intensive workshop to weekly classes that occur over the course of several months. The typical class combines lectures and techniques from a trained birthing instructor. 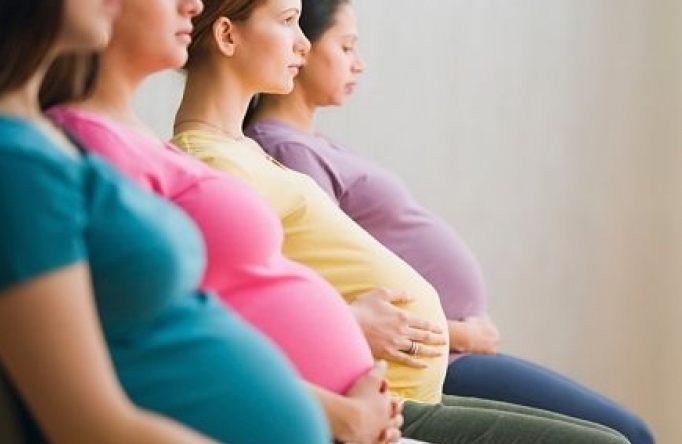 Why should you attend a childbirth class? To build your confidence - If you are feeling scared or unsure about whether you can handle labor and delivery, a childbirth class will help you prepare you for the big day. To bond with your partner. - Attending childbirth classes together can bring the two of you closer and allows your partner to be more involved in the pregnancy process. They will be able to better understand your needs and ways to support you. To be a part of a community - You can discuss your concerns and fears with others who are going through the process as well as a professional instructor who can give you sound advice on everything from birthing techniques to dealing with postpartum depression. You may also make some new friends! To relieve your pain - You will learn helpful massage and breathing techniques to relieve your pain throughout the pregnancy process. Need a great way to bond with your partner? Read How To Have an Awesome Babymoon. Where do I find a childbirth class? Childbirth education classes are typically offered at hospitals, birth centers, doctor's offices, or private homes. Ask your doctor to recommend a class to you or check with your hospital to see if they offer them. You can also ask your friends who have had children if they participated in a childbirth education class that was beneficial. How much do childbirth classes typically cost and how long do they last? While course costs vary depending on the type you choose and your location, the average of cost of a class is around $100. Sessions typically last two to four hours or six to eight hours if it is a one day intensive workshop. How much time do you and your partner have to devote to a class? Based on your preferences and daily schedule, you'll need to figure out whether multiple classes or a one day workshop is better for both of you. How much money do you and your partner have to devote to a weekly class? Take a look at your Baby Budget and assess what you can spend. For peace of mind, this could be a worthy investment in your pregnancy process. Will multiple birth philosophies be discussed? Whether you're having a natural or medicated birth, make sure your philosophy will be taught. What topics will be covered in the class? Pick a class that supplies you with the information you need. You want the class to be worth your time and money. Need some reading material? Check out our Pregnancy Book Review: Our Top Picks for best books to read during pregnancy. This is the most popular class taught in the U.S. The class teaches a variety of breathing techniques for labor including breathing and relaxation exercises. The class also teaches you how to communicate with your doctor during the labor and delivery process, how to deal with complications that arise during birth, pain management, and how to interact with your baby. A typical course includes about 12 hours of instruction. Click here to learn more about the Lamaze method. That's the message of HypnoBirthing. This method geared towards natural birth focuses on positive visualizations and affirmations, and muscle relaxations to help women deal with their labor pains. You'll learn meditative and breathing techniques during the series of five classes. For more about HypnoBirthing, click here. This technique is focused on poise and posture with a goal to improve your digestion, balance, coordination, and general breathing. You'll learn to strengthen your pelvic muscles to make for a more comfortable delivery. It's best to start during your first trimester. For more about The Alexander Technique, click here. For those planning to have a natural childbirth, this is the class to take. The 12 week course focuses on delivering without pain medication, prenatal nutrition & exercise, relaxation for an easier birth, postpartum depression, breastfeeding, and more. Husbands are taught to be active coaches in the birth. IT also prepares women for emergency childbirth and cesarean section. What else helps pregnancy? Exercise. Read Simple Workouts To Stay in Shape Throughout Pregnancy.